KNCV Tuberculosis Foundation and European partners request Sanofi to take steps to register rifapentine (Priftin®) with the European Medicines Agency (EMA). 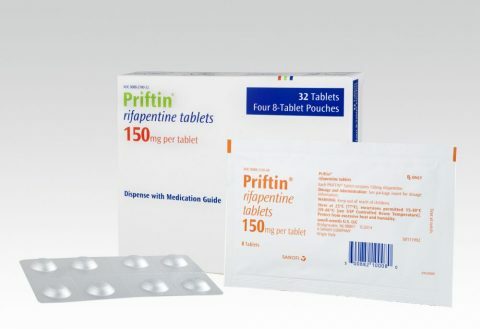 Rifapentine is an important drug in the treatment of tuberculosis (TB) infection, but – as now – is unlicensed and therefore unavailable in Europe. In 2014, the United States Food and Drug Administration (FDA) already approved rifapentine in combination with isoniazid (3HP) for a new indication to treat TB infection. European countries are in need of shorter treatment regimens for latent TB infection to step up their activities towards TB elimination. Latent TB-infected people, also in Europe, would welcome a treatment regimen that is easier to take. The 3HP regimen is included in the WHO Guidelines on the Management of Latent Tuberculosis Infection, released in 2015. KNCV has taken the initiative to compose the letter urging Sanofi to expeditiously file rifapentine for registration with the EMA so that national TB programmes and other healthcare providers in Europe can gain access to this promising drug. The letter is signed by 24 European organisations, including patient organisations, and 17 individuals involved in tuberculosis control from 20 different European countries. Read the letter to Sanofi here.